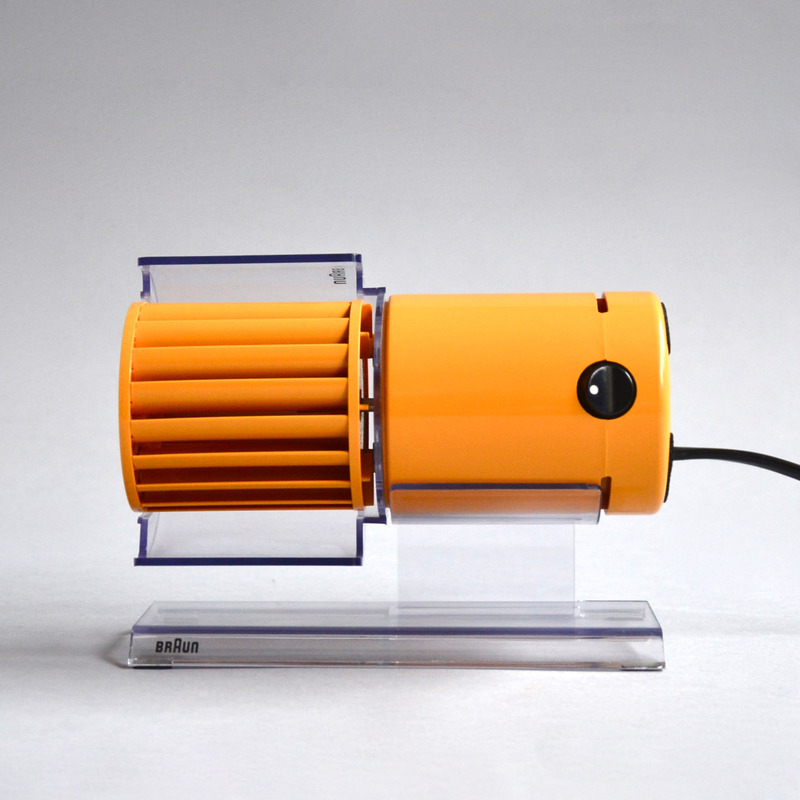 A revision of Weiss' iconic HL 1 Multiwind desk fan issued a decade earlier, registering Braun's shift of the late '60s from functionalism towards a more affirmative mode technological expressivism. 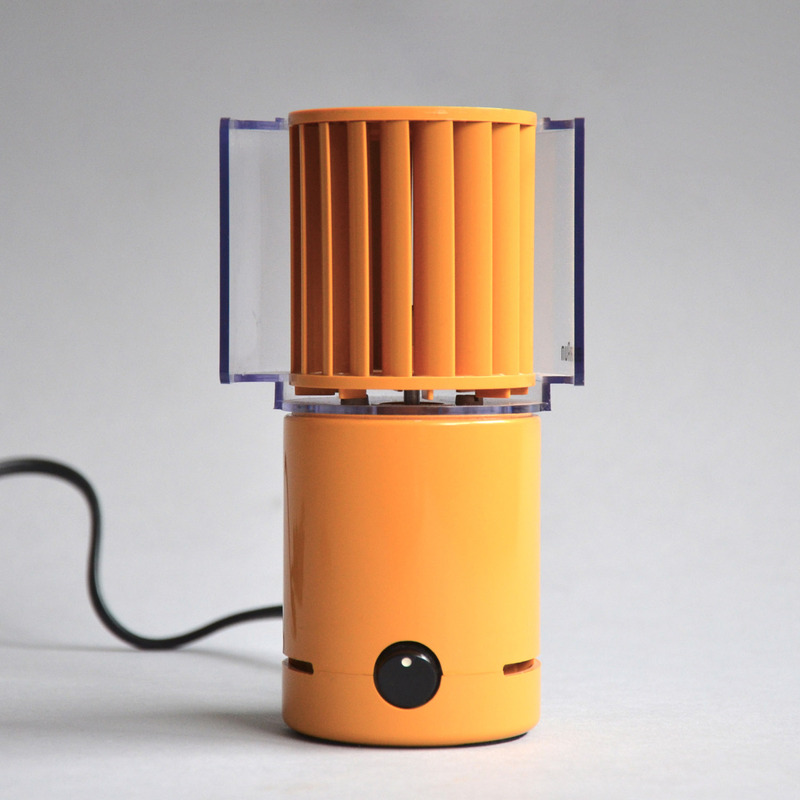 Bright synthetic colour replaces the austere palate of greys; form is reduced to a cylinder; controls are simplifed ; a transparent cradle, giving a gravity defying appearance, replaces the fixed stem and base arrangement of the earlier design. An example is held in the MoMA permanent collection.